This functionally furnished holiday home is situated in small idyllic place, only a few steps away from the sea and ferry port Vela Luka. Enjoy unwinding on the spacious terrace with a barbeque. This functionally furnished holiday home is situated in small idyllic place, only a few steps away from the sea and ferry port Vela Luka. Enjoy unwinding on the spacious terrace with a barbeque. 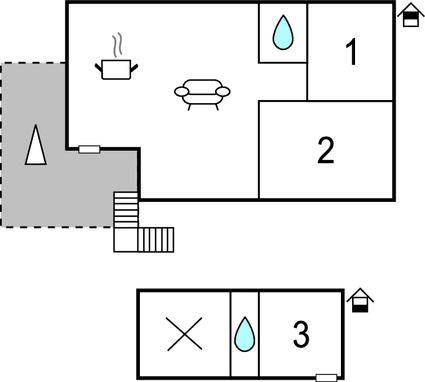 The bedroom and the bath on the ground floor have a separate entrance. The energy is provided from an aggregate, so the use of energy is limited. The last 700 m of access road is not asphalted and therefore guests should drive carefully. A rocky path of 80 m leads from the road towards the greenery around the house. This villa is made from brick or stone and was originally built in 1971 and refurbished in 2017. The agent has rated it as a three star property so it is a well-kept villa, equipped with standard furniture. It is also good value for money. 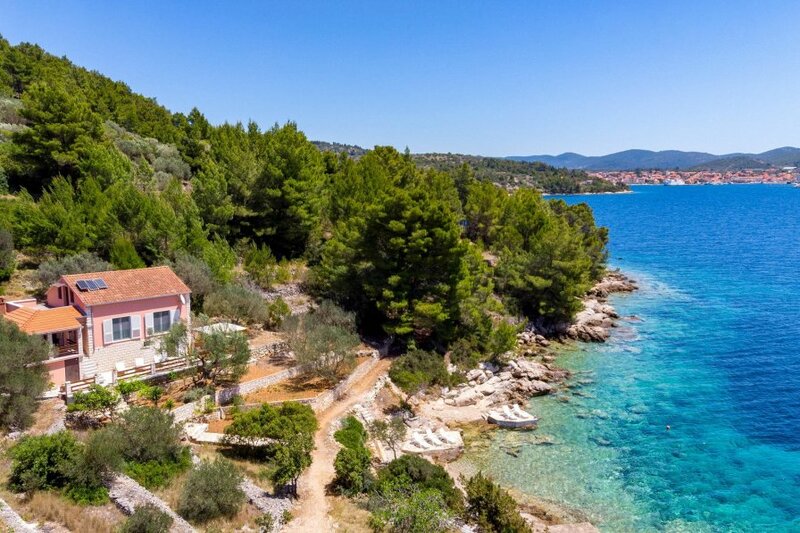 This villa has beautiful panoramic view over water; it is also only 3km from Vela Luka. It is set in a very convenient location, just 25 metres away from a rock bound coast. There's also a restaurant 3km away.